The Fab Lab House Project (www.fablabhouse.com) lead by the Institute for Advanced Architecture of Catalonia (www.iaac.net), the Center for Bit and Atoms del MIT and a world wide network of fab labs (fab.cba.mit.edu) have been chosen as one of participants in Solar Decathlon Europe competition (www.sdeurope.org), which took place in Madrid in June 2010. During IAAC Summer School on 2009 a group of students,architects,designers and engineers worked for an intensive 2 weeks on design,development and fabrication of structural and skin variations of the final prototype. 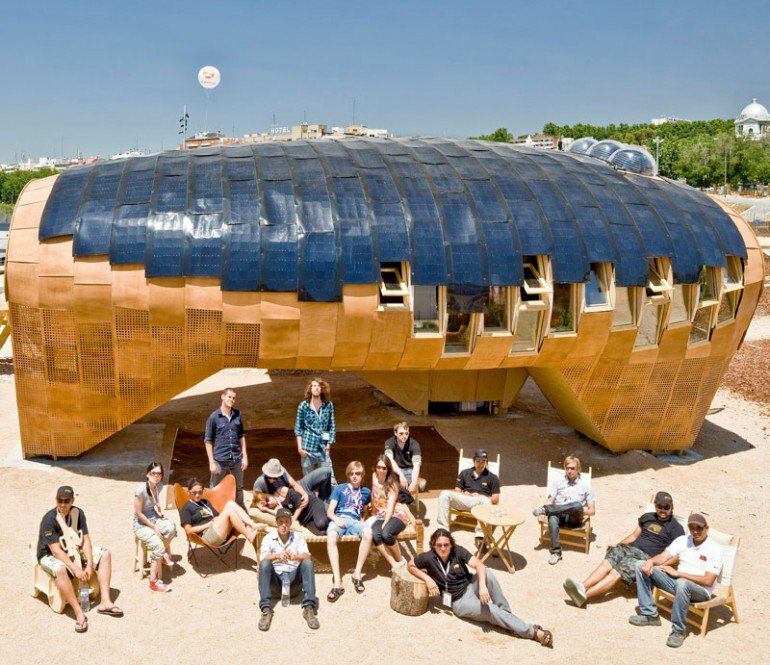 The Fab Lab House prototype is understood as a result of the negotiated consensus of the sum. More than a closed design, more than a description of an object, the prototype defined is presented as a combination of a series of intentional strategies, and the realization of a series of affirmations that we intend to defend. The project has been entirely fabricated at the IAAC facilities and its form is based on a digital parametric model which according to longitude and lattitude of the site where the house is to be implemented we can calculate the most optimum for for generating the maximum of solar energy during the year.